The start of a great week ahead! I have a feeling this is going to be a great week. My boss left today for a week long cruise and I completed my July AYOS! I present to you… Lincoln! 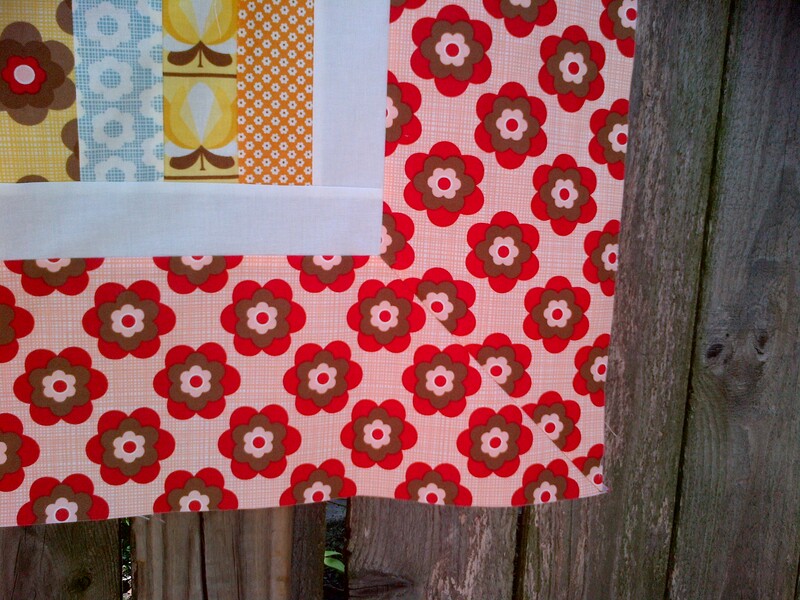 Fabric is from the Boho collection by Urban Chiks for Moda. Top finishes at just under 50″ square. I’m thrilled with how this came out. As I mentioned in an earlier email, I probably would not have ever purchased this fabric collection for myself – but I received two charm packs as part of my winnings from last month’s AYOS submission. 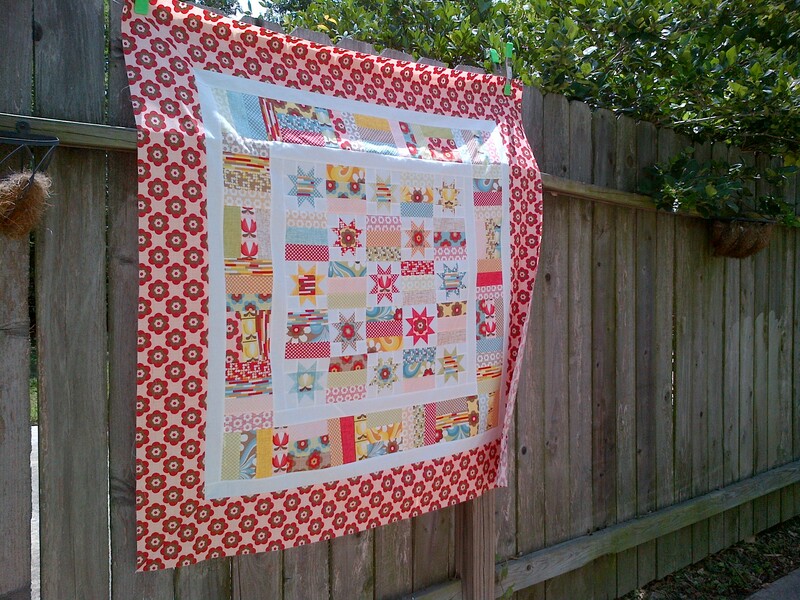 Once I got started with it, I truly enjoyed every minute working on this quilt. 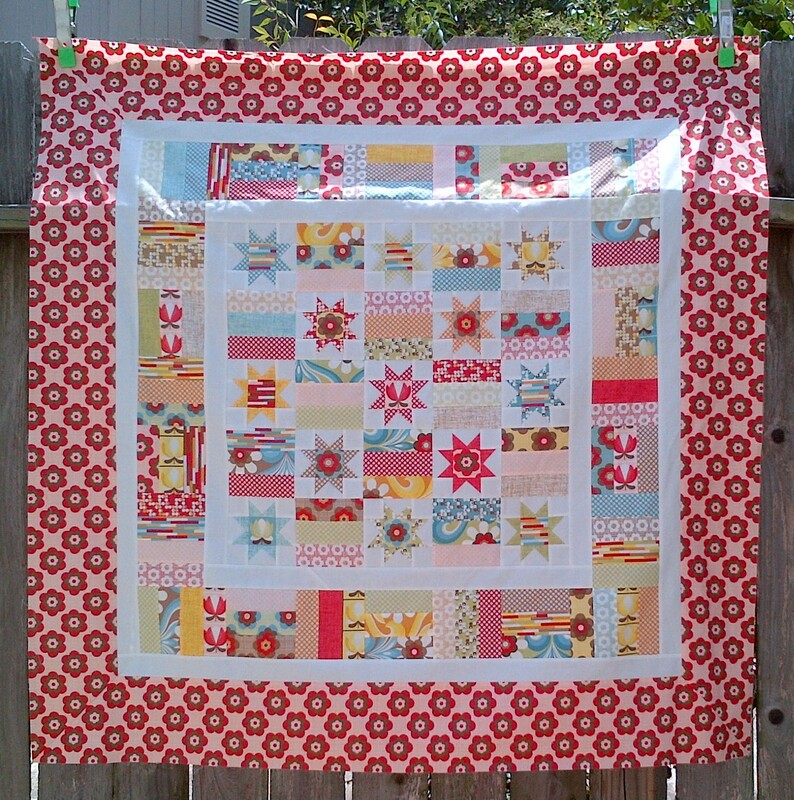 I also decided that this would be a unique and beautiful baby girl quilt, so I added in the extra borders to maximize the size. I happen to have some light/dark alternating pink polka dot flannel fabric that I am going to use for the backing – to make it extra soft for the baby. 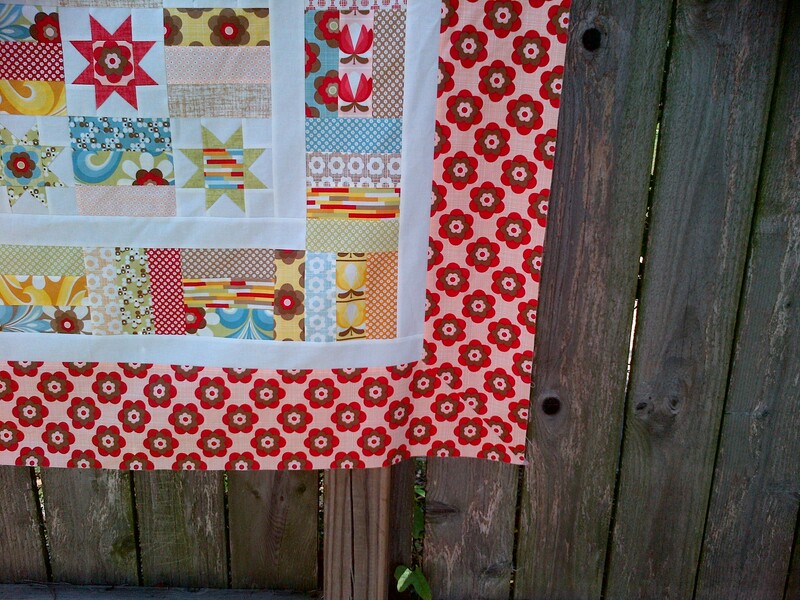 I decided on a mitered outer border, which I usually don’t fool with – but I had long enough strips to give it a try. I’m so glad to have joined in this month. However – depending on the pattern for August – I may have to take a break so I can get some other WIPs continued. 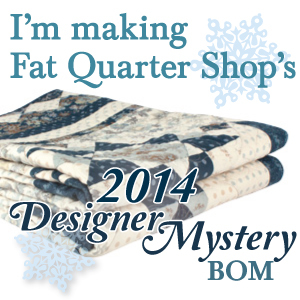 We will see on Thursday when the parade of quilts is made on Sinta and Sherri’s blogs! Hope you have a great week ahead of you also. Thank you so much for stopping by today! Jennifer, your Lincoln is just wonderful. 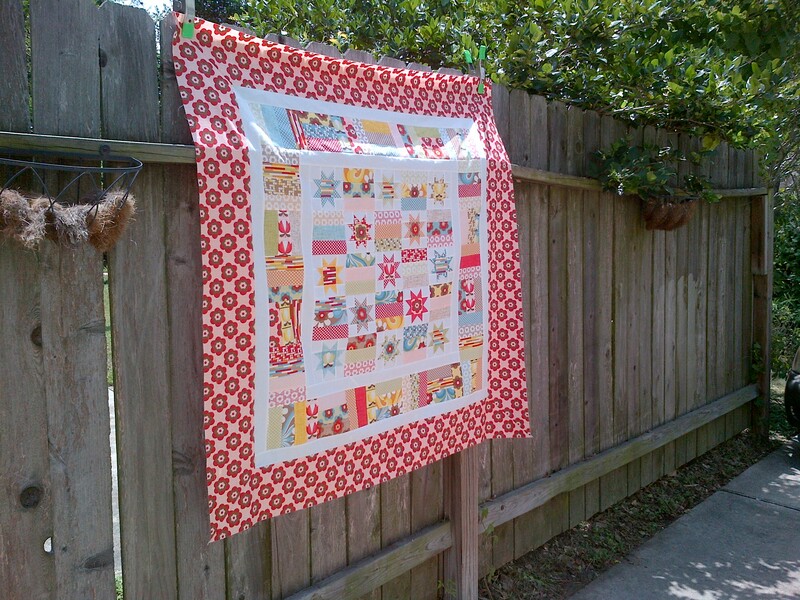 It will make a beautiful baby quilt. This looks Fabulous, Jennifer!!! Well done! And enjoy your “boss-less” week! Woo hoo! 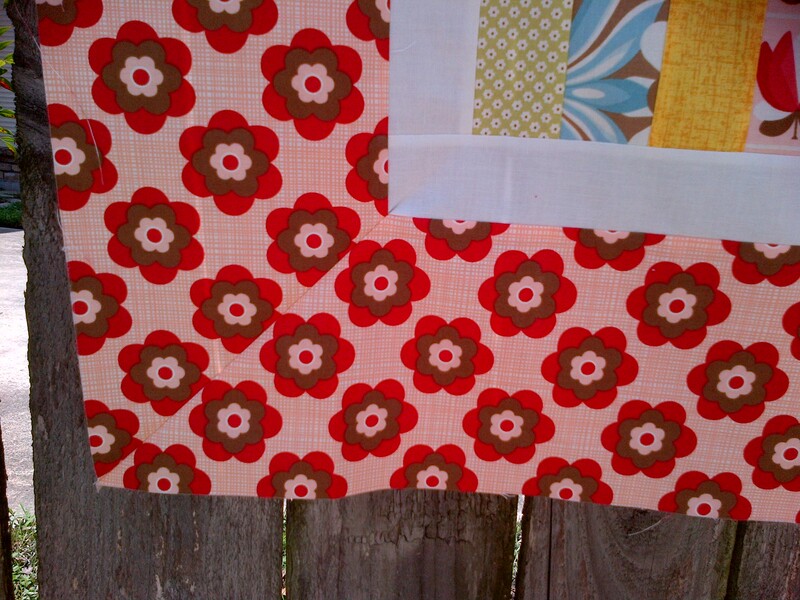 Very fun fabrics–love the fussy cut centers! Wonderful Jennifer 🙂 I love it with the border. I’m glad you are happy with it even though you mentioned the fabrics were a bit out of your comfort zone.